NLM authors were asked to offer Christmas gift ideas to pass along to our readers. Their suggestions have been grouped into thematic lists. The following list is obviously anything but comprehensive — and if your personal favorites happen not to be included, that’s not because we don’t think they’re worth giving or receiving. Indeed, if you’d like to supplement our list in the combox, feel free to do so! The lists below are book-heavy. The reason is simple enough. We need to keep studying, we need to form and inform ourselves intellectually. There is a huge amount of ignorance and error in the Church today, and, obviously, no one of us is ever fully “finished” with our education. Miseducation and lack of knowledge are not static problems; like weeds in a garden, they multiply and take over if they are not uprooted and valuable plants cultivated in their place. I saw recently a quotation attributed to St. Thomas More: “One of the greatest problems of our time is that many are schooled but few are educated.” So, NLM authors not surprisingly like to recommend good books. Icons. There are, alas, a lot of cheap and ugly icons out there, but if you take your time you can find something very beautiful — either a well-made reproduction (two excellent sources are Jordanville and St. Isaac Skete) or an original icon (see, e.g., here or here). A good daily Missal. The two best for the TLM are The Roman Catholic Daily Missal and the Baronius Press Daily Missal. For the OF, one can’t beat the Midwest Theological Forum editions. A nice chapel veil — this could make a great gift from a fellow to a lady, a sister to a sister, etc. Here’s one very good source. Hand-carved olivewood statues from the holy Land that help support the Christians of the Holy Land. They certainly need our support, and the gifts are really lovely. One such source would be here. Oplatki Christmas Wafers for Christmas Eve. Mystic Monk Coffee. I don’t think this really is a devotional item (although, in Thomistic fashion, one might consider it such by extention, inasmuch as it removes impediments to devotion.) But it’s comforting to be able to support great liturgy and get great coffee at the same time. The progress the monks are making on their Gothic monastery is heartening and deserves our support. Christmas in Harvard Square by The Boys of St. Paul’s Choir School. To Be a Pilgrim: The Canterbury Way with Fr. Marcus Holden and Fr. Nicholas Schofield. Many religious communities are now producing excellent records of sacred music (what a change from the bleak musical situation even just 10 years ago!). 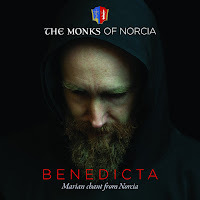 You could try these: Benedicta (from the Monks of Norcia); several fine recordings from the Benedictine Nuns of Ephesus; In Medio Ecclesiae: Music for the New Evangelization (Dominicans in D.C.); Best of Solesmes. A French classic for Christmas: the Midnight Mass by Marc-Antoine Charpentier. For the best historic recording of this polyphonic Mass, see here. Byzantine Christmas: a nice book & CD set. Mary Reed Newland, We and Our Children: How to Make a Catholic Home. Mary Reed Newland, The Year and Our Children: Catholic Family Celebrations for Every Season. 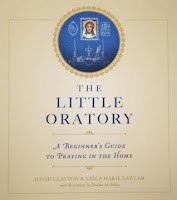 A Short Guide to Praying as a Family: Growing Together in Faith and Love Each Day, with photos by Fr. Lawrence Lew, O.P. Of Bells and Cells. 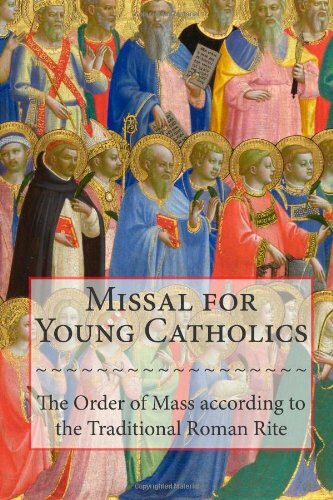 A book on religious vocations and religious orders. The Miracle of St. Nicholas — one of the best ever. William Mahrt, The Musical Shape of the Liturgy. This book deserves to be better known than it is. 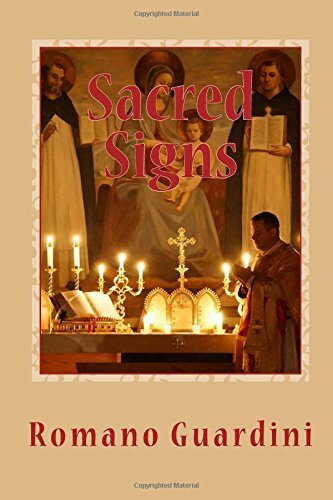 A collection of Dr. Mahrt’s wise articles from years and years of Sacred Music, it represents the pinnacle of aesthetic, musicological, and theological thinking about the organic interconnection of church music (especially Gregorian chant) and the sacred rites. For serious students of liturgy and the fine arts. Aristotle Esguerra’s Modal Responsorial Psalms. 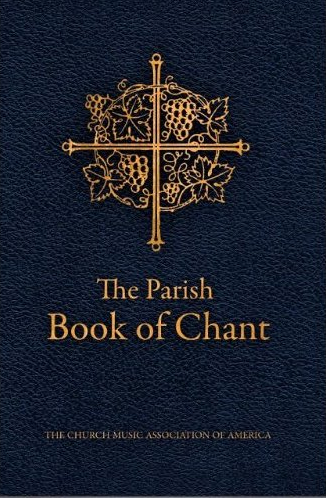 The Parish Book of Chant, 2nd ed. (for both OF and EF)—this is the flagship chant publication of the Church Music Association of America and has found a home in hundreds of churches and chapels. It is an ideal compilation of authentic Latin Gregorian chant for parish use. 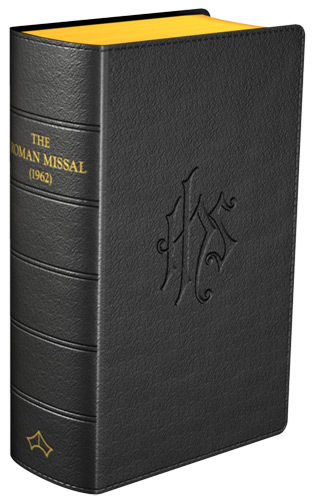 Missale Romanum (1962): the altar missal that no sacristy should be without. U. W. Lang, Turning Towards the Lord. The definitive work on ad orientem. U. W. Lang, Signs of the Holy One. Fr. Lang’s new book, a little masterpiece, hasn’t yet received the attention it should. Check out the table of contents at Amazon. Athanasius Schneider, “Dominus Est” – It is the Lord! 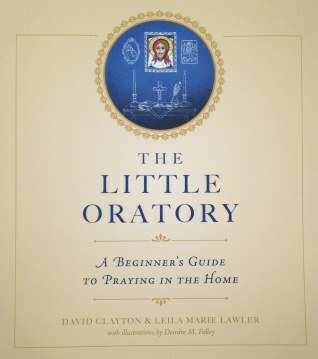 The best short book on reverence (and signs of reverence) towards the Blessed Sacrament. Basil Cole, O.P. The Hidden Enemies of the Priesthood. Cardinal Sarah, God or Nothing. This book has rightly attracted a lot of praise (and doubtless caused more than a few raised eyebrows among the progressives). Cardinal Sarah is somehow able to be simultaneously gracious and amazingly blunt. Festal Orations by St. Gregory the Theologian, in the splendid edition from SVS Press. Includes his Christmas and Theophany homilies in beautiful translation — some of the best Christmas preaching ever, and the core of many Byzantine liturgical hymns. Every well-dressed cleric should have a biretta; it is the correct headgear for the priest of the Roman Rite. See here for a good source. 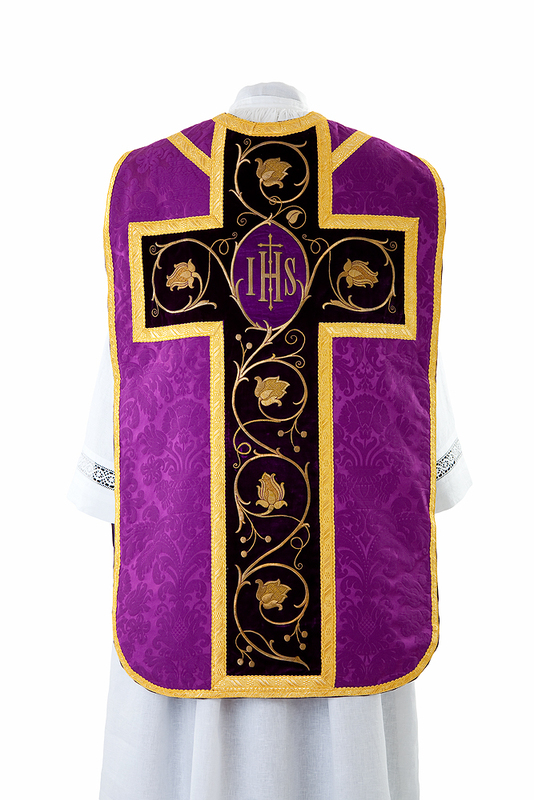 The Roman Catholic Ceremonial, vol. 1: The Ordinary Ceremonies (EF). Recommended by NLM’s William Riccio as one of the most useful resources an MC can have. Peter Elliott, Ceremonies of the Modern Roman Rite (OF). The closest thing to Fortescue that exists for the Ordinary Form. Peter Elliott, Ceremonies of the Liturgical Year (OF). A companion volume to the preceding. H. J. A. Sire, Phoenix from the Ashes. Difficult to praise this book highly enough! 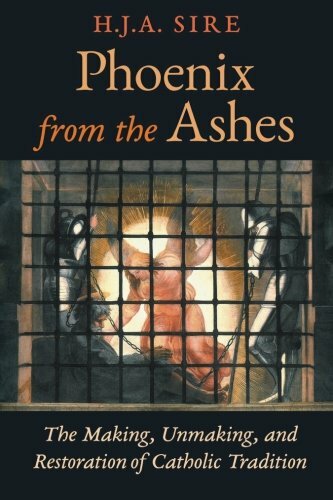 It is a well-crafted, penetrating presentation of the crisis moments in the history of the Church, with special attention to the past 50+ years. Christopher Ferrara and Thomas Woods, The Great Façade, second edition. 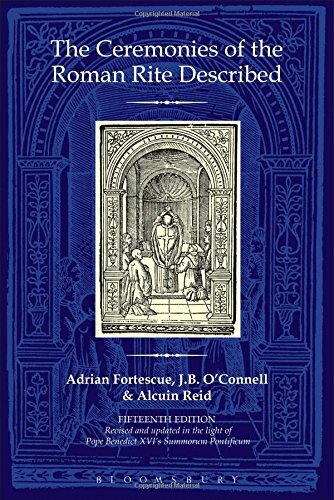 If you own the first edition, you’ll want to get the second—it has an additional 250 pages by Ferrara on the period from 2002 to the present (mainly, the pontificates of Benedict and Francis to date). Hot stuff, as P.G. Wodehouse would say. Roberto De Mattei, The Second Vatican Council – An Unwritten Story. If you ever wanted the real scoop on what happened at the Council, including the intentions of its major players, the way the procedures were tampered with, how the documents actually got written, and so forth, this is the book. Wiltgen’s The Rhine Flows into the Tiber is a classic, of course, but De Mattei drills deeper — he’s not a journalist but a true historian, with a vast knowledge of primary sources and the careful habits of a scholar, with the benefit of hindset that Wiltgen did not enjoy. Romano Amerio, Iota Unum: A Study of Changes in the Catholic Church in the Twentieth Century. This book is, in a way, The Great Façade, avant la lettre. Amerio casts his net wider than Ferrara and Woods by surveying the entire 20th century and documenting the (usually) gradual shift in positions on a whole host of subjects. Check out the table of contents at Amazon for a sense of the breadth of the coverage. 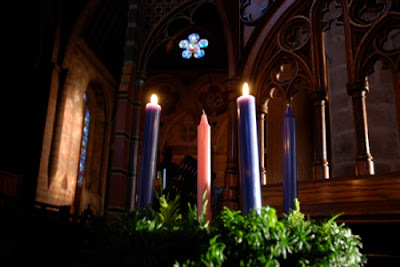 A blessed Advent to all NLM readers. Let us all pray for one another.